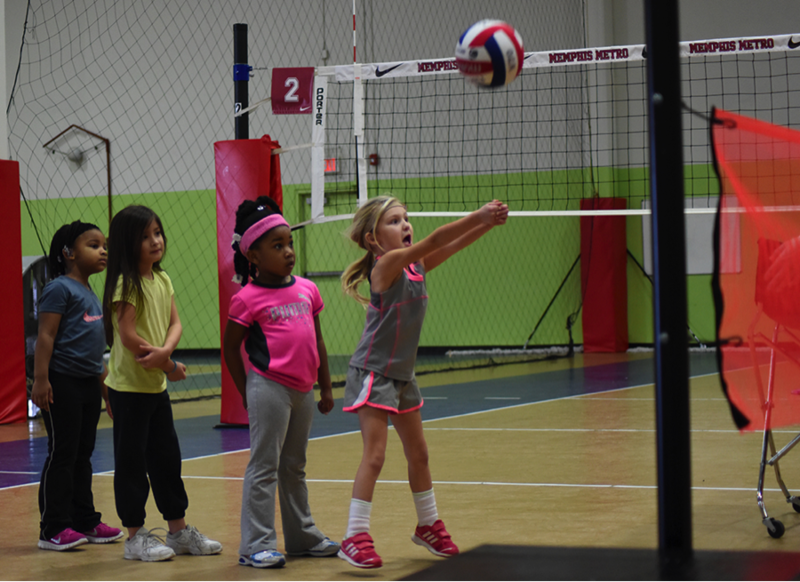 Fall in Love with Volleyball: How One Club is Growing the Game with Fun! 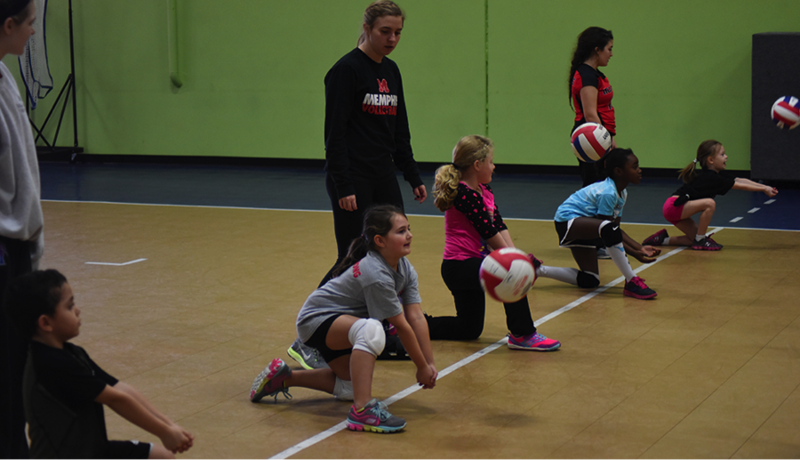 Memphis Metro Volleyball began their Youth Volleyball Academy one year ago with a mission to promote the sport of youth volleyball in a safe and fun environment. 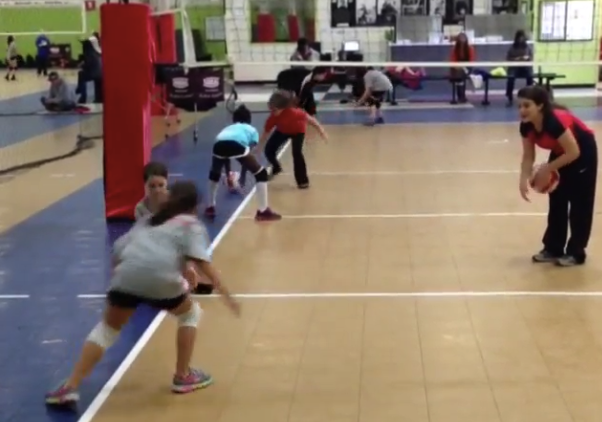 Many of their older players have younger siblings and they wanted to start learning to play as well, so the club came up with a fun, one hour volleyball class and the Youth Volleyball Academy was born. In one year the program has grown from 6 players to 72 players, which is the gym's capacity. So needless to say, Memphis Metro is looking at ways to continue to grow and improve the Youth Academy next year. Let's take a look at all the components that make this program SO MUCH FUN, the kids are falling in love! 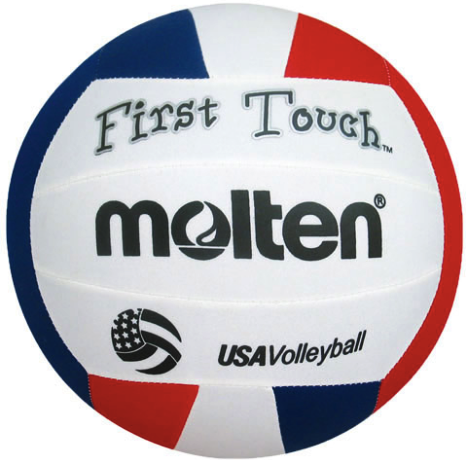 Instructors are not only Metro coaches but "Volley Veterans" of the club, more experienced players 15-18 years old. They have an opportunity to demonstrate and further their leadership and mentoring skills. What makes their program so unique is that Memphis Metro is introducing volleyball to children as young as three years old. 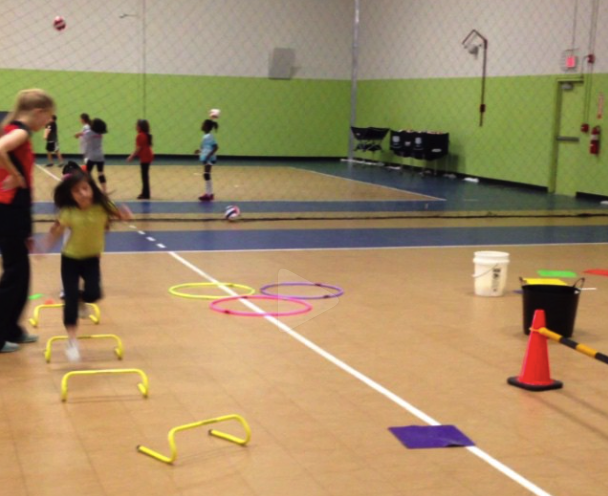 The youngest "Volley Minis" are exercising and developing their muscles, coordination and agility while having fun. In order to make this a fun learning experience, the right equipment is needed: nets, volleyballs, tennis balls, foam balls, cones, balls of all shapes and sizes, cut out foot prints, jumping blocks, jumping tubes for the obstacle course, and hula hoops. 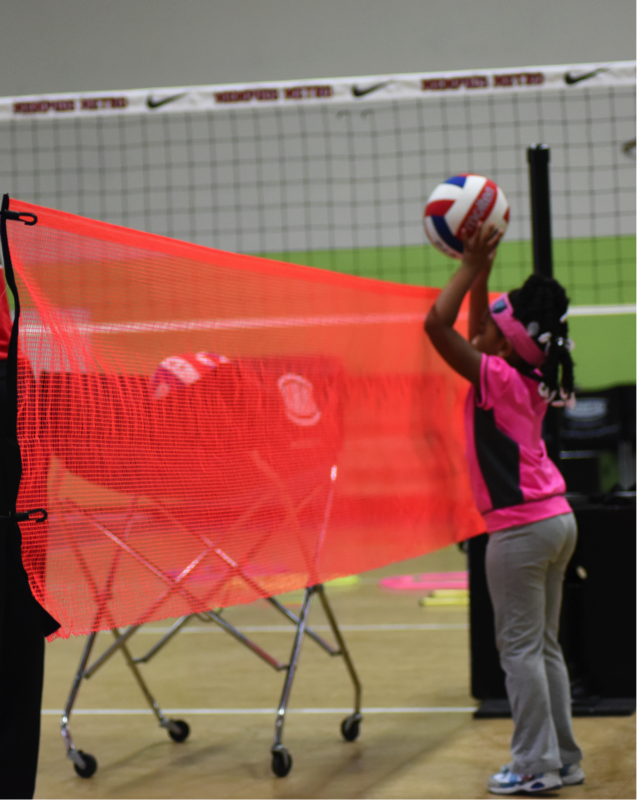 Memphis Metro built their own net system for the YVA, and the net height is a big deal, as many kids are discouraged when they cannot get the ball over the net. The club uses mini nets that are made of light weight plastic pipes and the net replicates an actual volleyball net. The net height is adjustable so based on each age group the net is 4 feet high for the youngest group, 5 feet high for the next level, and so on. 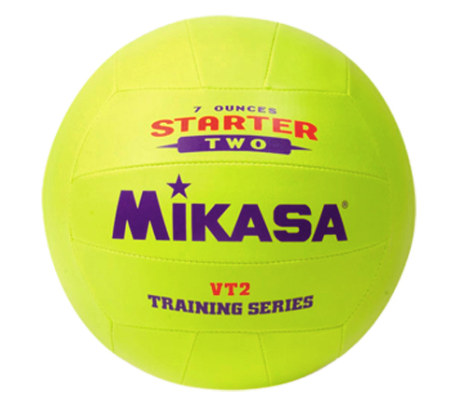 For volleyballs they use Molten First Touch V 70 and Mikasa Starter VT2, which are extremely light and soft. The tennis balls are used for throwing and other fun variations of balls are thrown into the mix. Give maximum attention to each of the "Minis"! 1:30 Welcome time! Hi, happy to have YOU here. 1:35 Agility: Obstacle course "Follow the river"
Variety of balance, run, jump, climb, crawl, tumble and roll. Who can make a passing platform? 2:20 Agility: Roll them, Throw them, and Hit them. Obstacle course - add balls. Start small. When quality is there your program will grow. Make sure to find the "special" coach who can relate to very young players and bring the fun and energy to each work out. Make it fun and enjoyable for all. That is the number one goal.